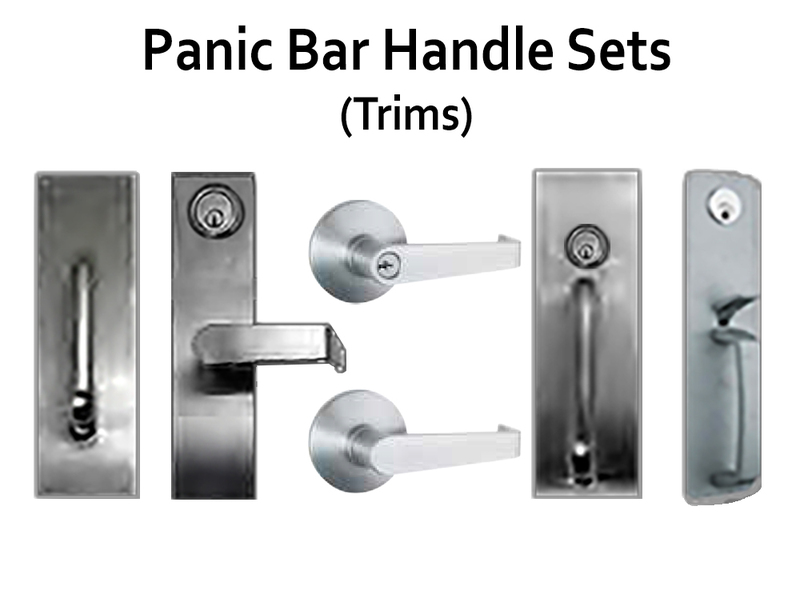 Lockey Panic Bar Door Handle Sets/Trims are handles that are mounted on the outside of a door that has a panic bar on the inside. 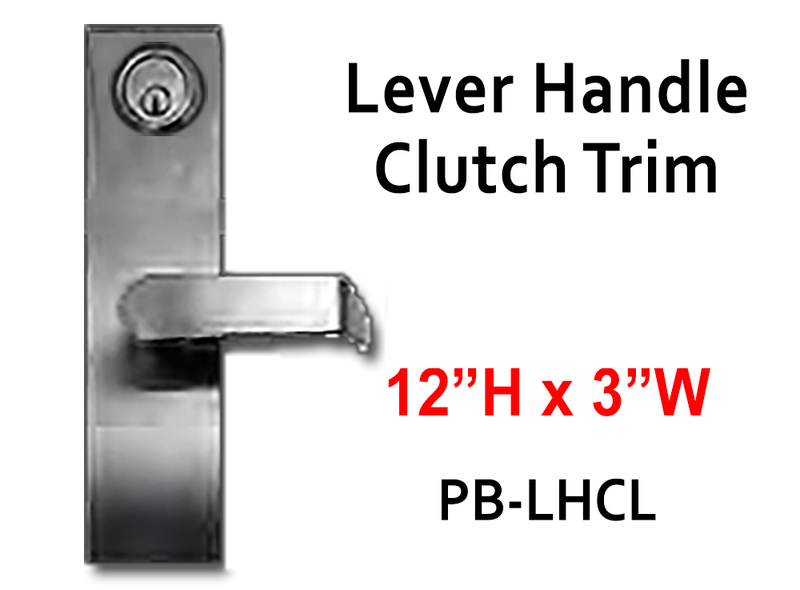 These silver door handles are usually used stand-alone, i.e., without Lockey push button lock. 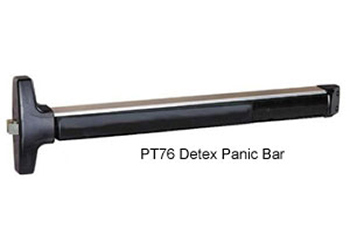 These panic bar door handles will work on doors that are 1-3/4" thick. 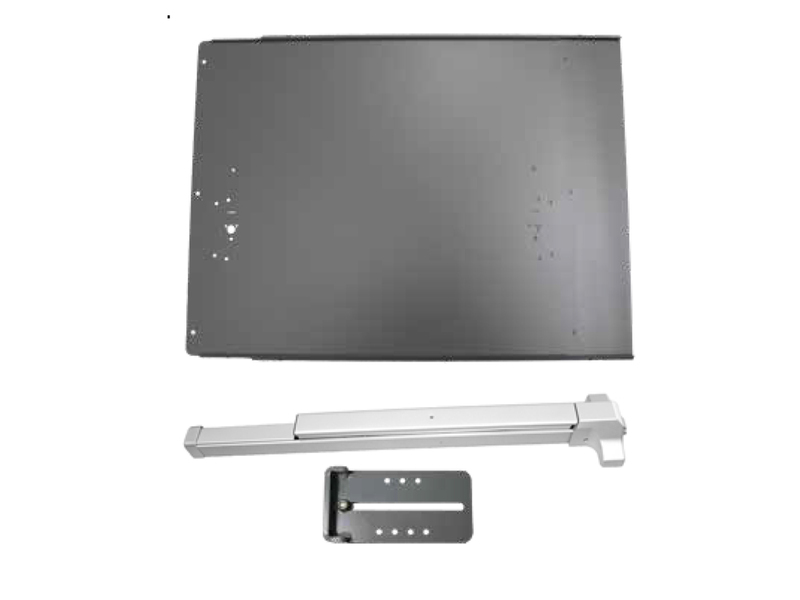 The keyed versions work with panic bars which support a key cylinder with a 90 degree or less turn radius. 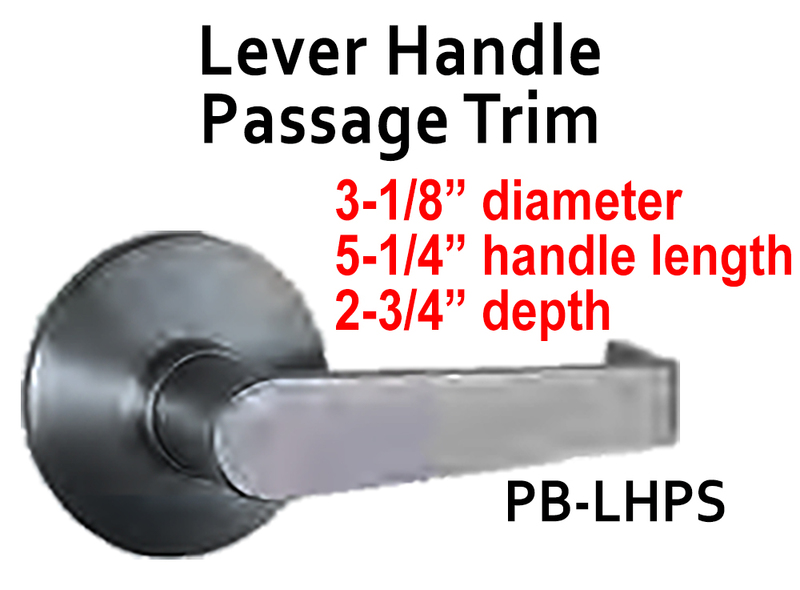 These silver door handles will work with either a flat spindle (aka tail piece) or a cross-shaped spindle. 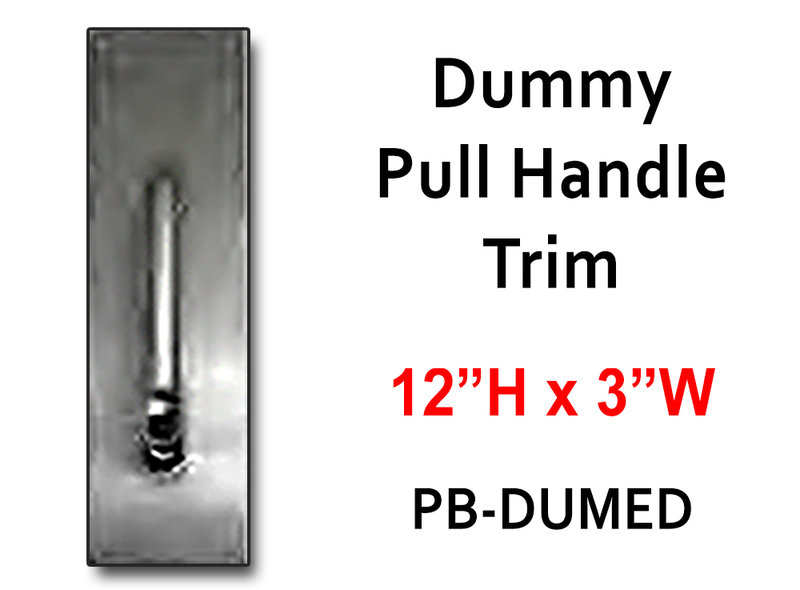 Keyed panic bar trim sets come with a Schlage key cylinder and 2 metal keys. 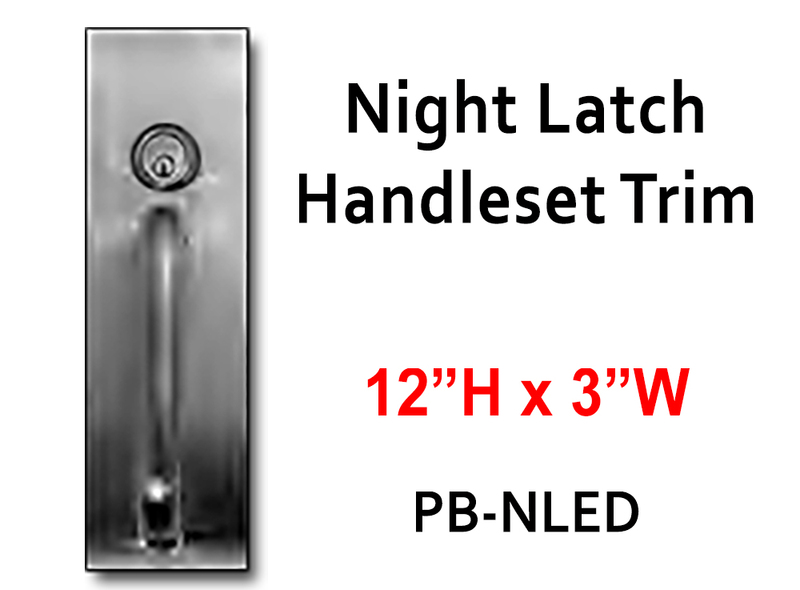 All keyed handle sets stay locked at night until you open them with a key. Then they remain unlocked until relocked with a key. 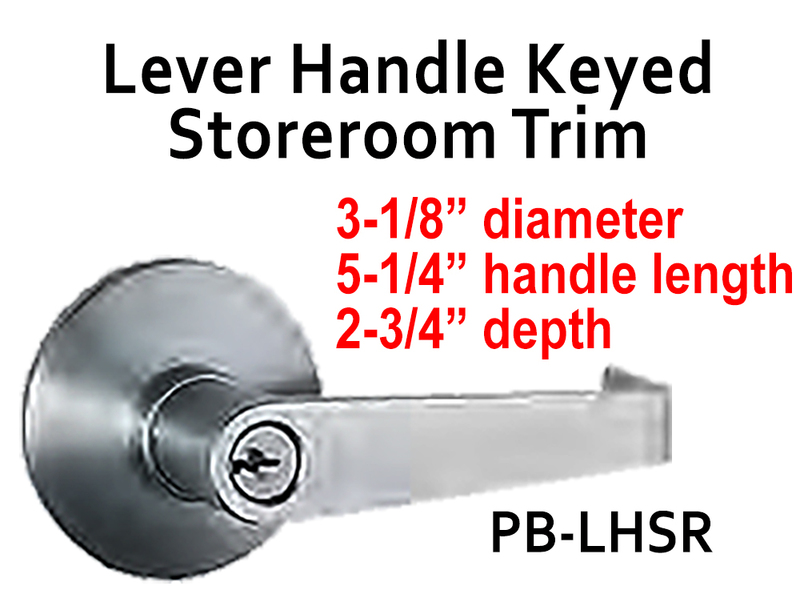 The lever handle comes in 2 styles: Storeroom or Keyed Entry. The Storeroom model is always locked. 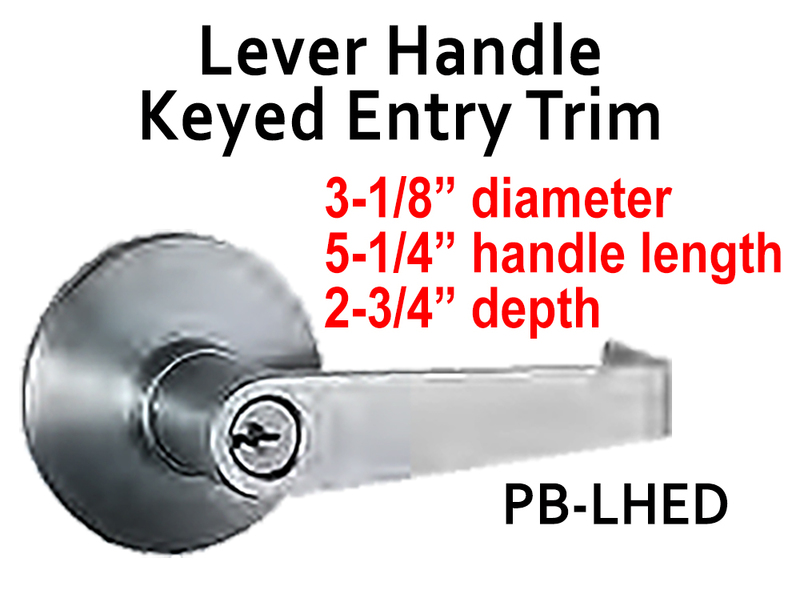 The Keyed Entry can be either locked or unlocked. Both models come with 2 keys. 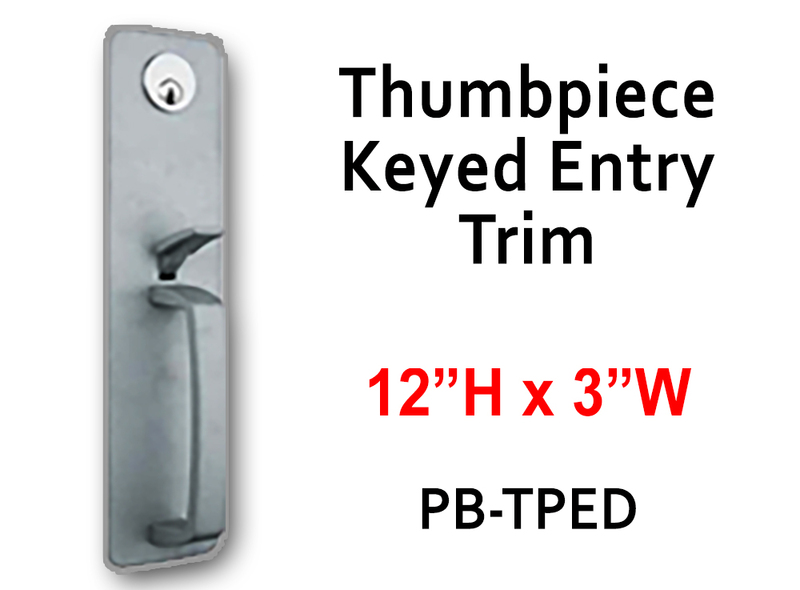 All panic bar trims are ADA compliant except for the Thumbpiece Keyed Entry Trim (PB-TPED). 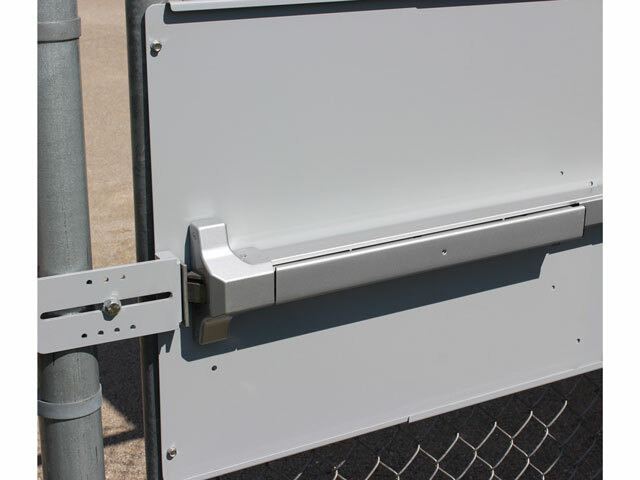 This is because they can be opened by a person who does not have the full use of their hands. Just be sure to mount them low enough to the ground so that a person in a wheel chair can reach and open them. 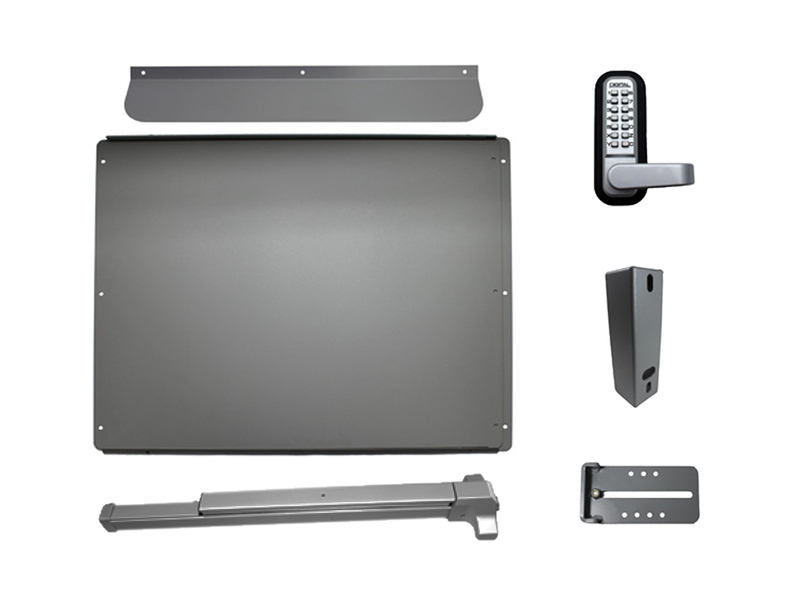 All handles come with a 5-year Manufacturer's Warranty.